I've been a fan of K-pop since I was in high school (I graduated in 2011). The first groups that I listened to were Girls' Generation, 2PM, and 4Minute. This was back before Gangnam Style and BTS was breaking world records. As an avid K-pop fan, I'm very proud how far this music movement has come and that many are finally recognizing the talent from Korean artists. However, I also feel bad for past groups. That's why I thought I would share some amazing songs by artists and groups from the past because these without them you wouldn't have the groups and artists we have today. That's why I wanted to start a new series on my blog where I share songs from artists from the past. Introducing, The ABC's of K-pop. I will be posting an ABC style playlist featuring songs or artists that begin with a letter of the alphabet from certain years. 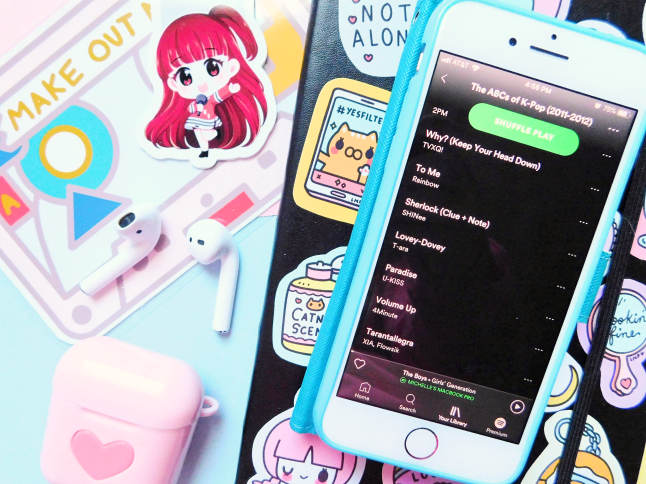 This way new K-pop fans can discover some rad songs from older groups. I'm starting with 2011-2012 because that's when I started actively listening to K-pop. I'm not biased when it comes to K-pop, I'll listen to any artists or group from any company. I choose songs that I really enjoyed based on the letter from the alphabet. Hopefully, those who weren't listening to K-pop music around this time will discover not-so-new songs or artists that you'll love! What year did you discover K-pop? OMG Cabi Song you know that randomly came on my timeline yesterday and I was like wow how could I forget lolololol!